IBM is the only vendor to use a Business-Activity based approach for enterprise SoD. Four years running IBM is a Leader for Identity Governance & Administration. Download this complimentary report to understand why Forrester has recognized IBM Security as a Leader. Maintain compliance and secure your organization with IBM's business-driven Identity Governance. Control your users' access to business activities with consolidated, fine-grained visibility into entitlements. Do the security measures you’ve built do a complete job of protecting against intrusions? Explore the advantages of using a robust and integrated identity governance and administration solution. Find out how the right identity governance and administration solution can help you control access risks. Ensure only the right people can access and manage GDPR-relevant data. Enhanced privileged identity and access governance. Facilitate requests in ServiceNow with governance capabilities from IGI. IBM Security Identity Governance & Intelligence provides full coverage of password management. Learn about the Gartner perspective on the trends, direction of the industry, and how IBM can solve the challenges. Join this webinar to learn why it’s time to start aligning risk to business activities for Separation of Duties control. Learn how E.ON Global Commodities deployed IBM Security Identity Governance (ISIG) to help prevent rogue trading. Deliver awareness and actionable controls to ensure the correct people have access to personal data. 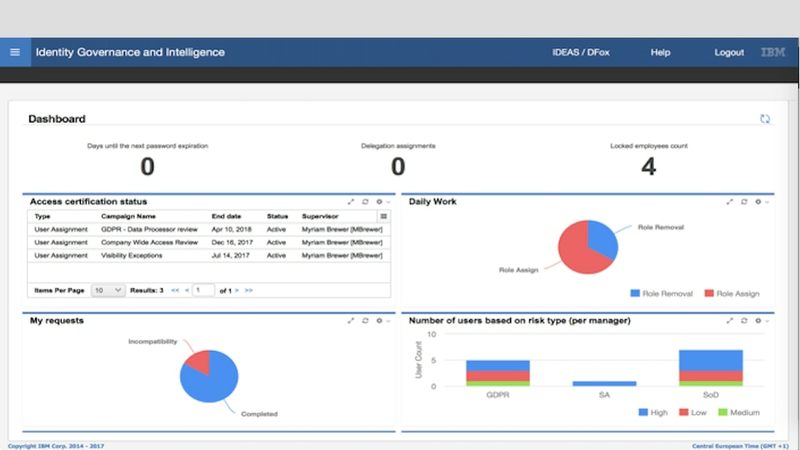 ServiceNow with IGI helps facilitate requests in a user-friendly interface with comprehensive governance capabilities. Learn why IBM succeeds with Identity Governance & Intelligence. Implement IGI to automatically respond to suspicious activity, helping minimize damage during investigation.